A gluten free product derived from the Indian plant psyllium plantago. Psyllium is extremely rich in fiber but has no taste or scent. With Finax Psyllium a gluten free dough will have the same properties as with normal dough and you can bake your bread in the same ways. 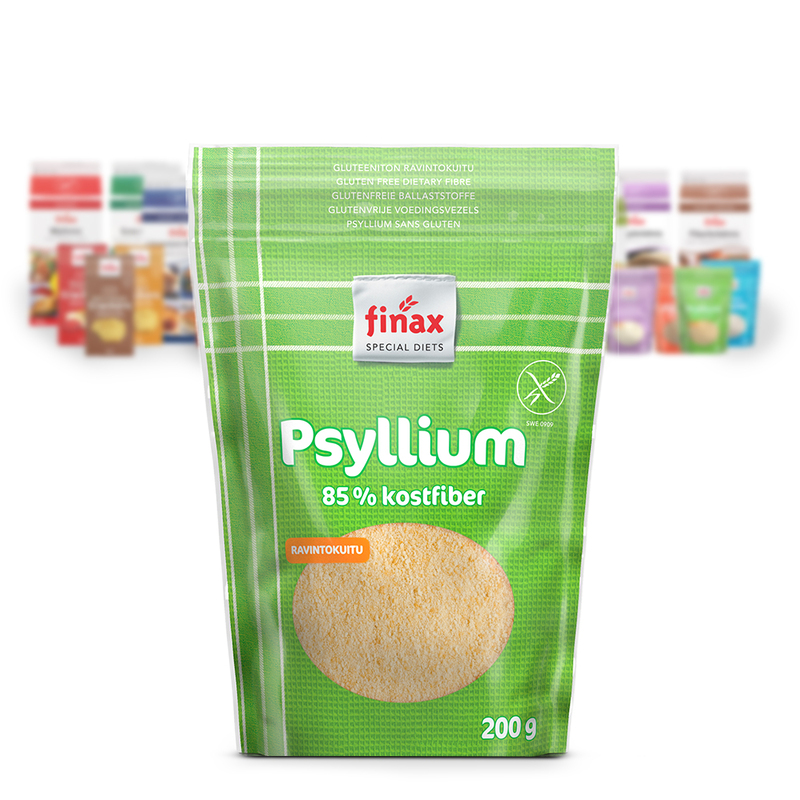 The very high fiber contents allow you to easily increase the amount of healthy fiber in your home baked bread but, at the same time, Finax Psyllium also makes your bread more moist while staying fresh longer. Add 1-1,5 tablespoon Finax Psyllium per 5dl of dough fluid.